From an early age, Connie knew that she would grow up to be a nurse. Coming from a family of caregivers, caring for others was a strong value that she learned early on. She recalls her father telling her that she would be a nurse, just like her sister when she grew up. 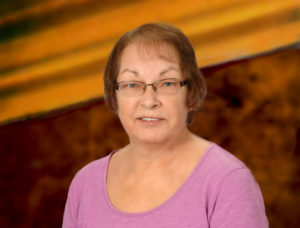 Connie began her career as a registered nurse at the Soldiers and Sailors Memorial Hospital in Penn Yan, NY. There she spent over 20 years with time as an Emergency Department nurse, hospital supervisor, and in the Intensive Care Unit. Following her tenure at the hospital, Connie was a nurse practitioner for various health care centers in the Finger Lakes region. This led her to Finger Lakes Community Health. She chose FLCH because she believes that all people should have access to care. “The mission here is to reach out to those who need care, with innovative care,” Connie said.